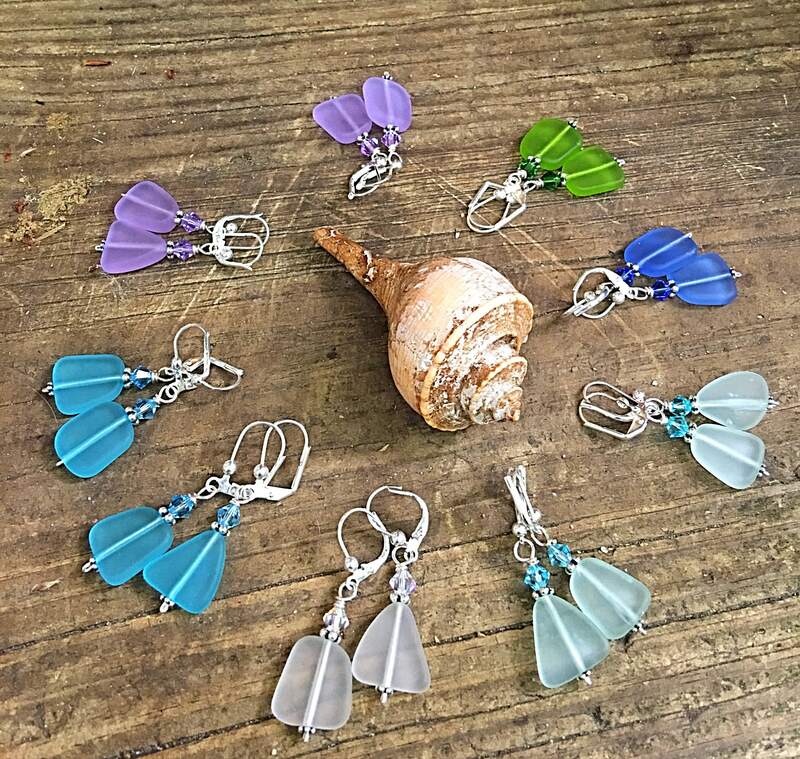 The "Mermaid Kissed" Recycled Glass Earrings are hand-created using gentilly tumbled, center drilled pieces of recycled glass. 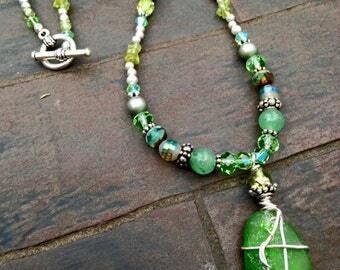 These glass beads are of various shapes and smaller sizes.. 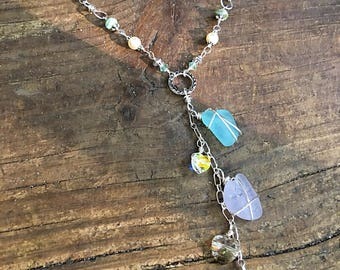 Personally, I just LOVE the look~ The glass beads and complimenting Swarovski crystals are strung together with silver spacers upon a 22 gauge sterling silver wire.